This entry was posted on November 9, 2008 at 3:17 pm and is filed under Bad Statistics, Cosmic Anomalies, The Universe and Stuff with tags Cosmic Microwave Background, Cosmology. You can follow any responses to this entry through the RSS 2.0 feed. You can leave a response, or trackback from your own site. 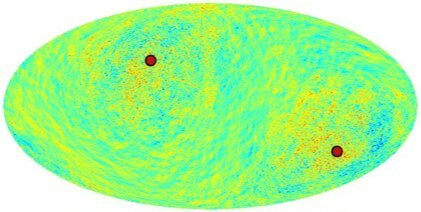 I thought that Planck had a very different scan strategy, which would provide a good test of exactly this sort of worry? At least that’s what E&G seemed to say. Otherwise — I think everyone admits that this is much more likely to be a systematic effect of the instrument than something in the primordial sky, absent some sort of confirmation. But the latter could conceivably come from large-scale structure tests. The WMAP team can only correct for KNOWN effects that correlate with the ecliptic… I’ll go with Ockham and say this is not a coincidence. With the expansion of the universe now known to be *accelerating* by no means known to cosmologists, we now realise that we know less than we thought we did. 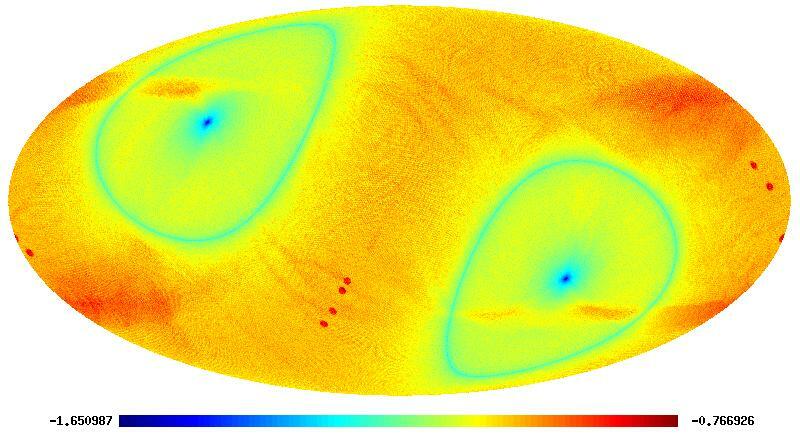 Sean, I’m not exactly sure what the Planck scanning strategy is. I’m not an insider. I just assumed it was based on the same idea as WMAP. If I’m wrong about that then there’s better reason to hope Planck will shed light on this. Whether they come from new CMB experiments or alternative observations, such as galaxy clustering, any independent data are very important. Great post, this is fast becoming one of my favorite blogs. I read this when it was posted and returned only recently for the comments. I find the discussion of a possible connection between the ecliptic and the orientation of the anomaly bewildering. How far off the ecliptic does it have to be before Ockham is left in peace? 45 degrees? 90 degrees? I bet the later would raise more questions than the current, what 20 degrees. My point is that the orientation of the anomaly has nothing whatever to do with the ecliptic until some evidence of a connection is discovered. Those who wrongly invoke Ockham to justify what amounts to faith (since it is not accompanied by evidence) are simply wrong minded. Any argument that requires belief in “[UN}KNOWN effects that correlate with the ecliptic” seems far more of a WAG than the original paper by Groeneboom and Eriksen.